So Who Does This Rule Apply To? The rule applies to all new vehicles weighing fewer than 10,000 pounds, whether they’re manufactured in the US or imported. Most models of cars, SUVs and trucks weigh less than 10,000 pounds. Most new cars are already in compliance with the rule. According to the Insurance Institute for Highway Safety, 97% of 2018 models have rear-view cameras, compared to 8% in 2006. Drivers, take this as a victory! This change will not only save lives, it will save consumers money as they will no longer need to pay for the rear-view camera as an additional expense option. You may be thinking, “how often do accidents happen that this is now a rule”. The answer, about 210 fatalities and 15,000 injuries per year in the U.S are cause by these types of accidents. More than 30% of the people who die are children under 5, and more than a quarter are seniors 70 or older. Consumer Reports has conducted studies, using traffic cones in place of children, showing that the use of rear-view mirrors without cameras can have blind spots that range from as little as six feet behind small sedans to 44 feet or more behind full size SUV’s. The introduction of rear-view cameras allow drivers to see what was in that blind zone. 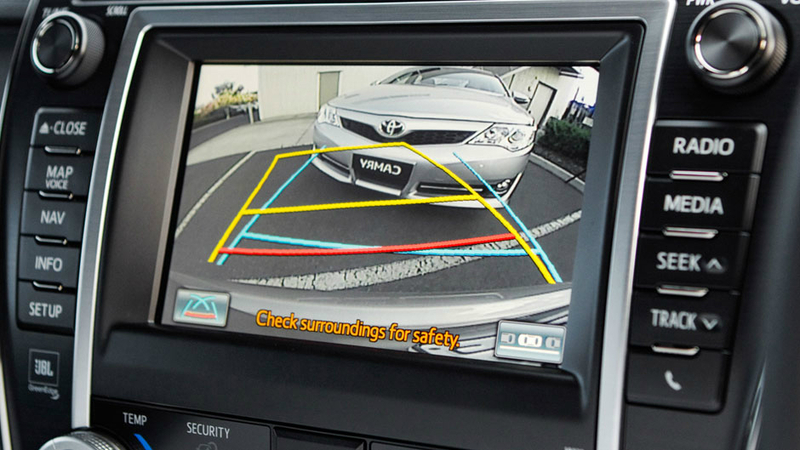 If you’re purchasing a new car in the near future, we hope you enjoy your new backup camera! Remember, the change may be odd at first, but this addition is one of the many that are here to make our lives safer, and easier.